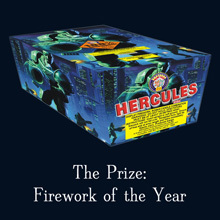 Thank you to all who entered our win "The Firework of the Year Competition". The response we had was phenomenal and we received some very interesting reviews! Congratulations to Tim Jones, who was randomly selected from our prize draw on the 1st of October.